Passion and challenge, here are the motivations that led Olivia And Didier Le Calvez (General Manager at the Bristol) to acquire in 2009 a very beautiful property on the “satellite” appellation of Puisseguin-Saint-Emilion. After many researches, they decided to buy this wonderful house with cellars, and surrounded by vines. It is culminating on a plateau, at 90m above the sea level. 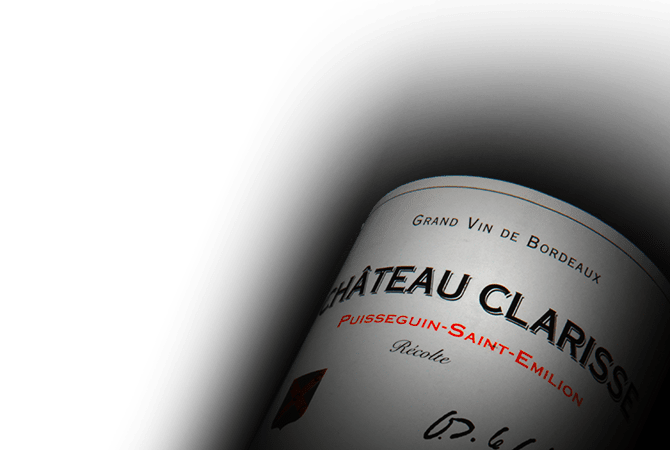 The estate has been named Chateau Clarisse, which is the name of their daughter, who was 3 years old when the first vintage was released in 2010.